Offering you a complete choice of products which include antistatic zip lock bags, antistatic zip lock bag and pe ziplock bag. 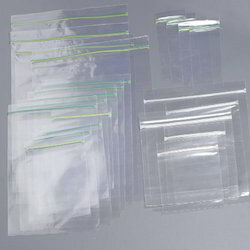 We offer Anti Static Zip Lock Bags, which have been manufactured in accordance to specific needs and requirements of customers. Available in a myriad number of designs, our range can be procured at market competitive prices. Our quality auditors work around the clock in order to ensure strict adherence to international quality standards. This ensures best possible products for all our customers. We bring our clients with our proficiency a huge collection of poly pack PP Attached Normal Zipper Bags with smooth sliding options. There is a great demand for these for making pouches and is manufactured using very high quality raw material like woven PP. Better quality products and reasonable pricing are their striking features. 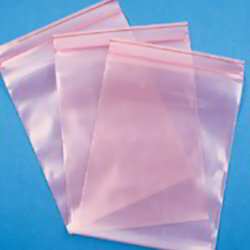 Looking for PE Ziplock Bag ?